This lets the user start receiving verification codes (and other text notifications) at his new number. Go to the user's profile. Click Active User in the upper right corner of his profile. Choose the email address to which you'll send the reset link. The user will receive an email and will follow the steps described in this article. 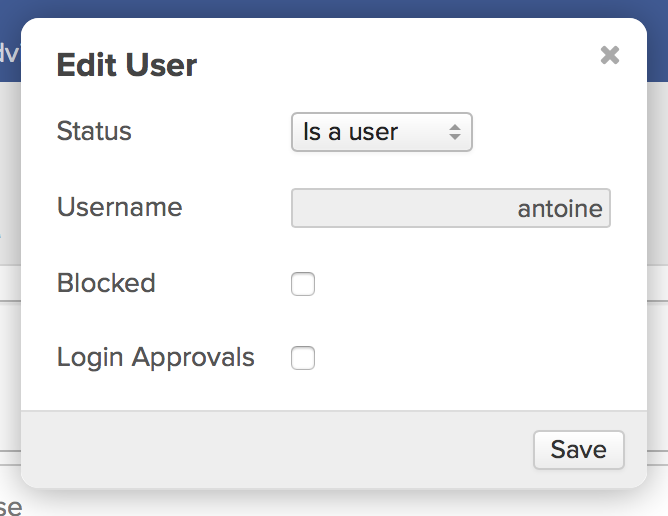 This lets you lift the login approval requirement for the user. In the dialog, un-check the box next to Login Approvals. The next time the user logs in, Populi will not require a verification code from him. Does one need a certain role for this to work? I'm not seeing it anymore, which is weird because I did a few months ago.